Although this dish is like something from an 80’s menu, once in a while I do crave it. 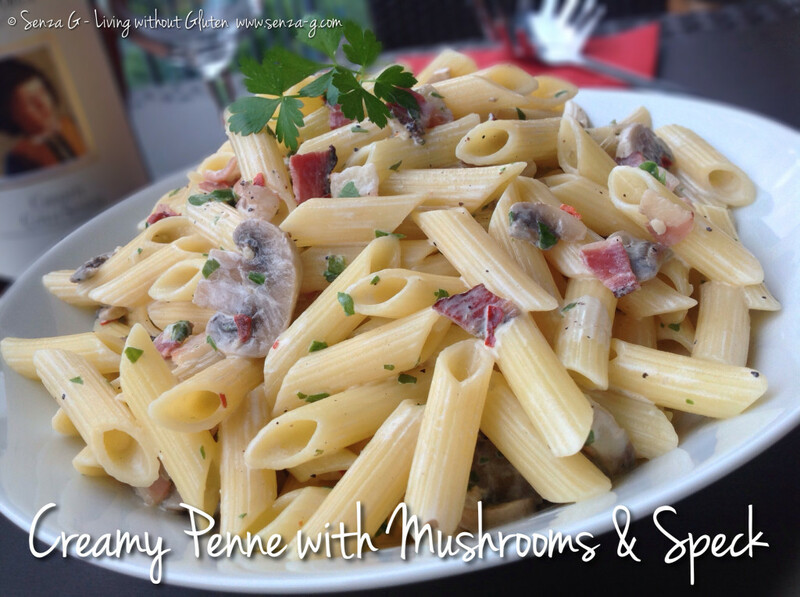 One of the easiest of pasta dishes to prepare and no matter how passe it is, it still tastes delicious! Cook the penne in salted boiling water and whilst that is cooking, sauté the onions in a little olive oil until translucent. Add the speck and cook for a few minutes. Add the butter and the mushrooms and the minced garlic. Season with salt, pepper and chilli if using. When mushrooms are softened, add the wine, followed by the cream, nutmeg and the freshly chopped parsley. Cook until the cream is heated through. Do not let it boil. When pasta is ready, drain and gently mix in the sauce.